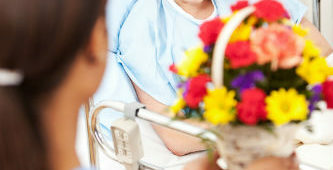 When it comes to giving gifts to your child’s birth mother or father, simple and from the heart always works best. You don’t need to spend a lot to show them you remember them. Here are five ideas for the perfect gifts for birth parents to help you show them they’re loved. 1. 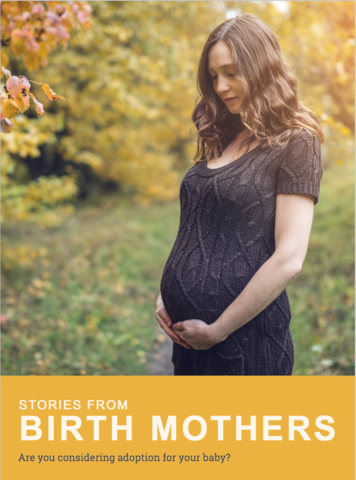 This book which provides comfort and tells 23 birth mother’s stories. Being a birth mother can feel very isolating. Knowing there are other women like her can be enormously helpful for your child’s birth mom. The woman who compiled this book is a birth mother herself. 2. A framed photo of the baby wearing this. I actually had an idea a couple of years ago to write, “I love my birth mom” on a white onesie with black sharpie marker. Fortunately for us, there is now a pre-made onesie to say it all! 3. This beautiful adoption triad necklace. I have seen several necklaces like this; however, this one is by far the prettiest. It will be available online. Even if she doesn’t wear it out every day, she can still hang it on a mirror in her room or keep it as a keepsake. 4. A baby book like this that you make and then make photocopies of for the birth parents. 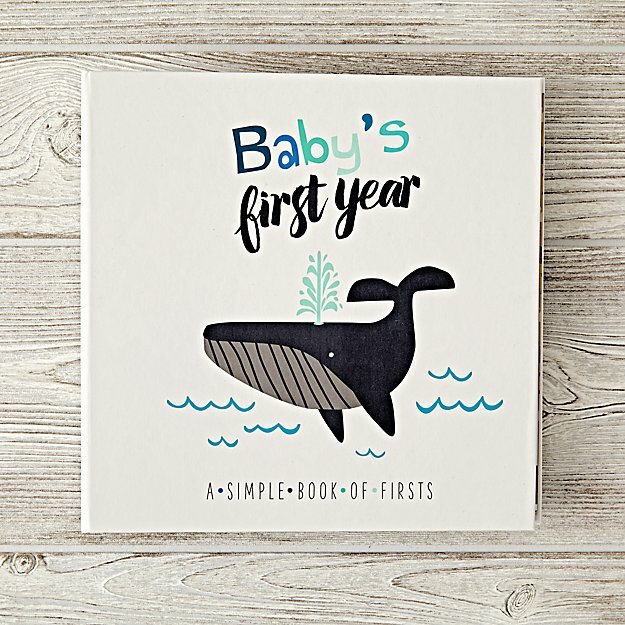 Baby books that document “firsts” are a common project for all new moms. When you complete yours, photocopy all the pages and send as a package to your child’s birth mother and father. This way they’ll know all of baby’s important dates and milestones. Of course, you can email the pages too, but it’s nice to have something tangible to hold in your hands. Make sure everyone is okay with sharing addresses. 5. 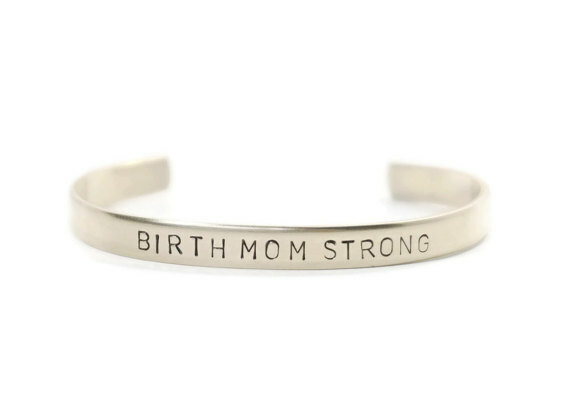 This bracelet as a reminder of birth mom’s strength. Birth mothers are some of the strongest women you’ll ever meet. This bracelet allows her to remember her strength and feel empowered. 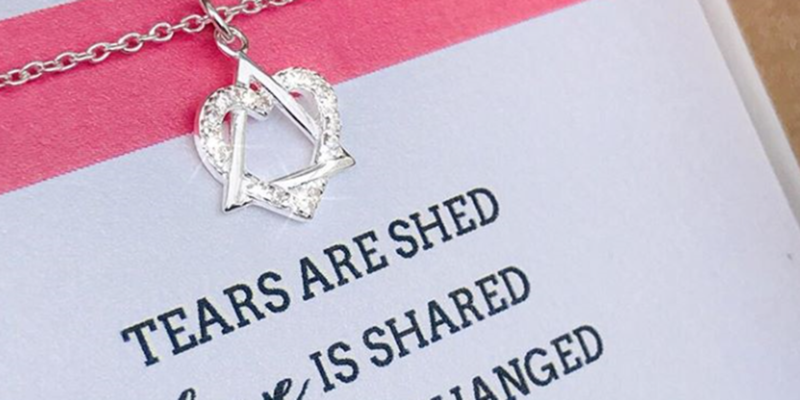 For a birth father, you could find an Etsy seller to custom make a necklace or wallet or ring to say, “Birth Dad Strong” or something similar. Of course, there are many ideas out there if one of these ideas isn’t right for your child’s birth parents. 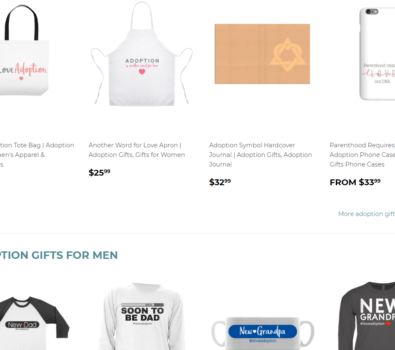 You can always peruse this awesome gift site for more ideas regarding the perfect gifts for birth parents. Good luck!